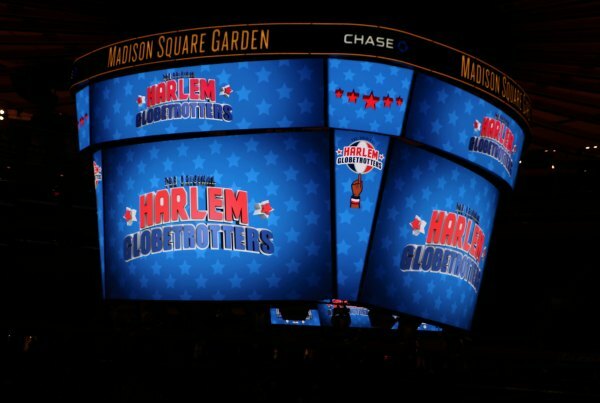 The Harlem Globetrotters Hit NYC! 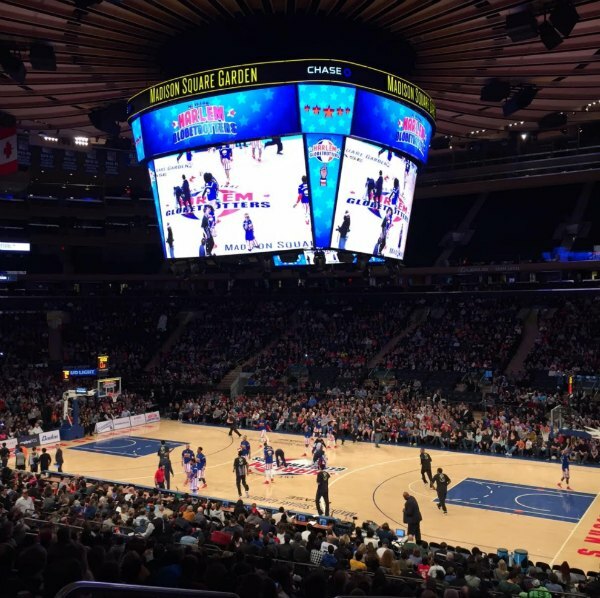 Our family had an awesome time at Madison Square Garden this weekend with The Harlem Globetrotters. 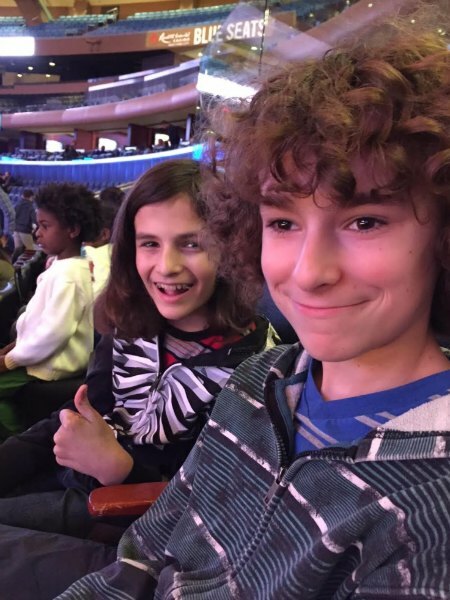 The last time we caught a show together was four years ago and neither one of my boys were playing basketball back then, but they loved it. Now as both boys are playing ball the show takes on an all new meaning for them. 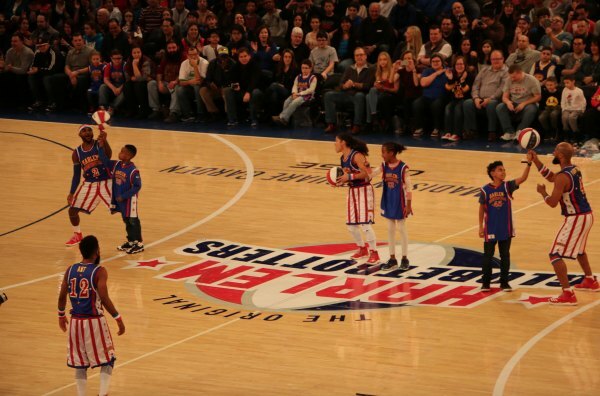 We made a fun family day out of New York City adventure, but the show was tops on our list! I have been a big fan since I was young. 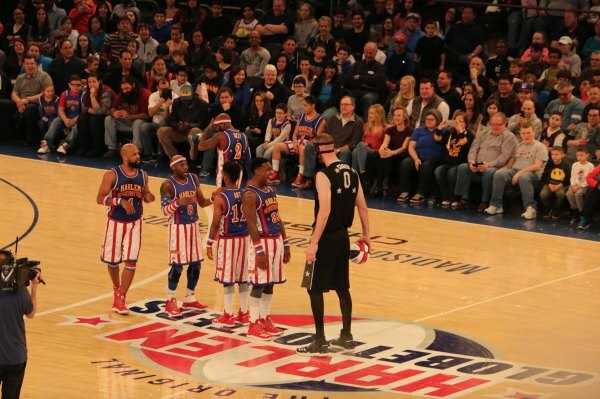 My husband and I talked about seeing the Globetrotters on TV and wanting to attend a show. It never happened for either us as children so catching this show was a dream come true for all of us. 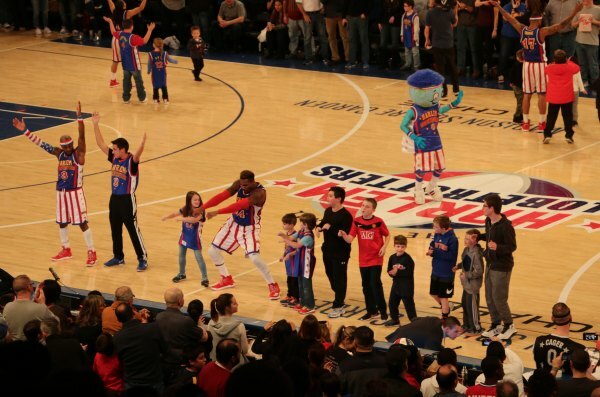 The crowd went wild when the Globetrotters hit the floor! It was twice as exciting for us because we got to see Flight Time in person. My family and I have been catching old episodes of The Amazing Race and Flight Time and Big Easy were on several episodes as fan favorites. We loved them! 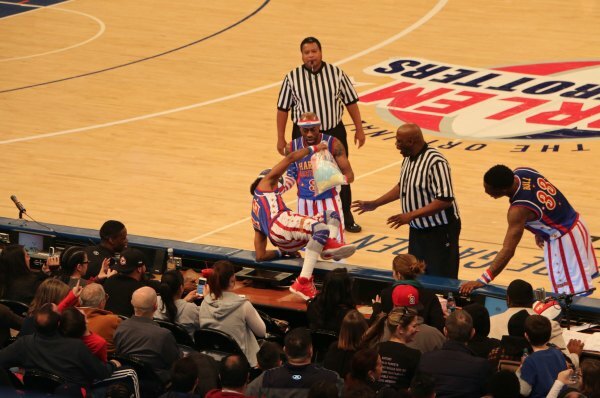 As always the Globetrotters take some fans out on the floor for some fun and games! Or even dancing! There was lots of dancing and fan interaction! You know that YMCA is going to be a big hit with an arena filled with fans. Everyone got up to join in the dance from their seats. There even was some stealing and handing out of cotton candy by Ant! I don't want to give any more of the fun away because I know you'll want to check out the show yourself. We had some serious girl power in the house. At 5'4" Ace took to the floor and swept past those boys! An inspiration for any little girl out there wishing to live her basketball dreams, but thinking it might not be possible. It is! 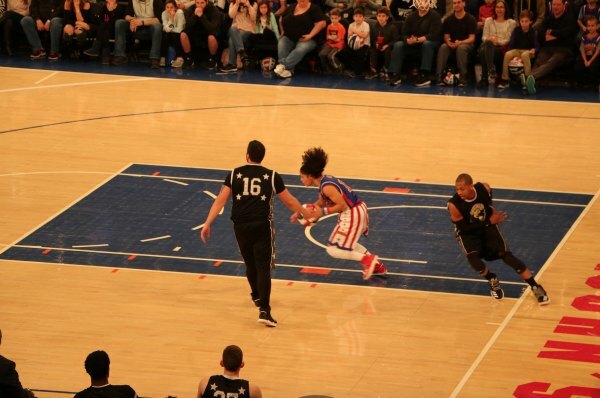 When The All Star team they were playing pulled out "Cager" w thought the Globetrotters might be in trouble. That wasn't the case. Laughs and good times were had by all. 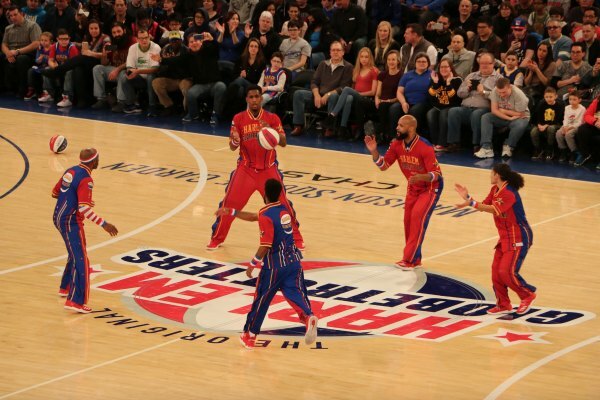 Have you ever seen the Harlem Globetrotters play? Disclosure: I received free tickets to attend this event in order to facilitate a review. All thoughts belong to me.